In most families, grandparents are a healthy and important part of a child’s development. 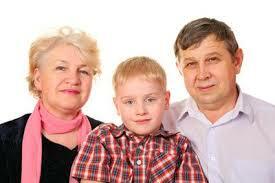 However, the question becomes do grandparents have any rights of visitation under Tennessee law? Or the child and the grandparent maintained a significant existing relationship for a period of twelve (12) months or more immediately preceding severance of the relationship, this relationship was severed by the parent or parents for reasons other than abuse or presence of a danger of substantial harm to the child, and severance of this relationship is likely to occasion substantial emotional harm to the child. A significant relationship is, according to T.C.A. 36-6-306(b)(1), when the child resided with the grandparent, or the grandparent was a full-time caretaker, for at least six (6) consecutive months. Therefore, if the grandparent was watching the child(ren) when mom or dad were at work may not be enough as the court may not consider that as “full-time” and again the time must be six “consecutive” months. A significant relationship may also be when the grandparent had frequent visitation with the child for a period of not less than one (1) year. Therefore, the Court must determine based on the facts if the visitation was “frequent” and that frequency must be for over one year. Third, if the court finds that there is danger of substantial harm if the child does not have visitation with the grandparent, it must decide whether the visitation would be in the child’s best interest based on seven factors under Tennessee Code Annotated 36-6-307. The facts in the In Re Camryne B. case are the following: Melisa I. (“Mother”) and Andrew B. (“Father”) are the parents of Camryne B (“Child”). Mother and Father were never married. Celeste B. (“Grandmother”) and Albert B. (“Grandfather”), (collectively “Grandparents”) are the paternal grandmother and paternal step-grandfather of Camryne B. The Mother had another child who was legally adopted by the Paternal Grandparents. Disagreements and hostilities developed between Mother and Father and the Paternal Grandparents, and Mother and Father decided it was in Child’s best interest not to have further visitation with Paternal Grandparents. The Paternal Grandparents filed a petition for grandparent and sibling visitation. The trial court awarded Paternal Grandparents visitation with Child every third weekend as well as telephone contact every other Sunday. The Mother and Father appealed the trial court’s ruling arguing that the trial court erred in awarding Grandparents visitation under Tennessee Code Annotated 36-6-306. As such, the trial court’s award of court ordered grandparent visitation was reversed. Again the above deals with grandparents “visitation” but under Tennessee law there are other ways for grandparents to obtain “custody” of the grandchildren. To effectively navigate any custody disputes as it relates to your children, or your grandchildren, you should seek the services of an experienced family law attorney. Contact Jim Widrig or any of the attorneys at Widrig Law PLLC to schedule a free consultation. Our phone number is 615-417-7800.